Kotler defines marketing as a mean to identify human and social needs and fulfill them, profitably. According to American Marketing Association, Marketing is the activity, set of institutions, and processes for creating, communicating, delivering, and exchanging offerings that have value for customers, clients, partners, and society at large. Nirvana is made of two words Nir and Vana. Where Nir means without and Vana means Forests. The Nirvana is to be in a state which has got rid of, forever, the dense forest of the three fires of nonvaluable creation, communication and delivery. The term marketing is one of the most abused terms of modern era. Marketing started as noble profession being seen as antisocial and father of consumerism and eventually root cause of many societal, psychological and environmental problem. Digital medium have contributed in big data revolution. The data analysis can help in creating customized solution so that communication expenses minimized. The digital mediums also have been instrumental in bringing the delivery and transaction cost down. The advent of 3-D scanning and 3-D printing has opened the door for plethora of opportunities. Thus digital marketing is instrumental in helping marketing achieve its true aim, creating a product so that consumer himself come and purchase it. Thus maximum value is being unlocked in the supply chain. 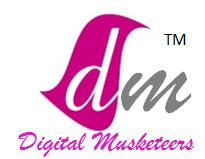 For digital marketing consultancy work check www.digitalmusketeers.in .